In the first of our new, regular ‘Voices’ series, featuring views and insights from key figures within the utilities industry, Laura Sandys reveals the recommendations of a new report from the Challenging Ideas group around redesigning regulation. The challenge for the energy sector is not if change is happening, but at what speed and at what cost. We need to move beyond incremental changes within silos in the sector to a managed revolution across the sector to capture the exciting decarbonisation ­dividend. Our new report ReDesigning Regulation recommends that we need to reshape the market, re-engineering it from the plug rather than the power station, starting with demand rather than supply. With new and different value available in the future electricity system, we need to redesign the market and replace the vanilla commodity of a unit with a multi-dimensional set of values around time, location and service to the system and equality between demand and supply. We should also expect the sector to behave more like normal markets – with retailers driving consumer value by exerting greater supply chain pressures than the current siloed pass-through costs allow. We must also strip away the complexity within the supply chain where it adds little value. At the same time, we envisage increased competition around energy assets of all sorts and consumer propositions. So it is about rationalising the supply chain while opening up energy assets and consumer-facing businesses to much more competition. ll aspects of this increasingly complex, multi-dimensional energy system. The regulator must remove itself as the conductor of the energy orchestra and sit with the audience. We need to assess, calibrate and assign risks to the businesses best placed to manage them and let them get on with it, while remaining vigilant to the impact of innovative businesses propositions. However, greater freedoms for business must come with greater penalties. We also examine how best to regulate for bundled products, mobility packages through electric vehicles, financial service products conflating with energy products and the Internet of Things in the home. With the conflation of new services we recommend that an Essential Service Consumer Regulator is established, amalgamating the consumer-facing parts of Ofgem, Ofwat and Ofcom, and providing a coherent regulatory framework across new service and product offers. We also urge Ofgem to replace the current supplier licence with an insurance-backed assurance model driving much more “retailer” behaviour than that of the vanilla supplier model. This would drive up standards and this regime would risk assess the retail side of the market through insurance premiums, again calibrating risk where it really lies –not one size fits all. We are rather radical when addressing vulnerability – a term that is both patronising and unspecific. First, the energy sector cannot deal with all the issues associated with fuel poverty – much of this is around poverty itself or rubbish housing, and is the responsibility of others. However, we propose that all the utilities combine their responses toconsumers with challenging lives and create a coherent one-stop shop to holistically address the multiple and dynamic issues faced by many in our country. We reassert that energy system data is the new value in the system and needs to be opened up to support the public good and are very pleased that government has established the Energy Data Taskforce. In addition, we recalibrate security of supply – identifying what is the real insecurity – and propose a new hierarchy that levels the playing field for demand-side approaches. As we can now see more clearly what the decarbonisation dividend can deliver for our energy system we must resist trying to squeeze a very exciting multi-vector future into a rigid command-and-control regulatory straitjacket. The current arrangements will crush innovation and also add significant cost to the consumer. The opportunity is to redesign the system to release untold benefits at a better price and with real choice for consumers. The journey will be difficult but it must start now. Laura Sandys is an innovator who seeks to challenge thinking in public policy and business to increase competition, productivity and creativity. 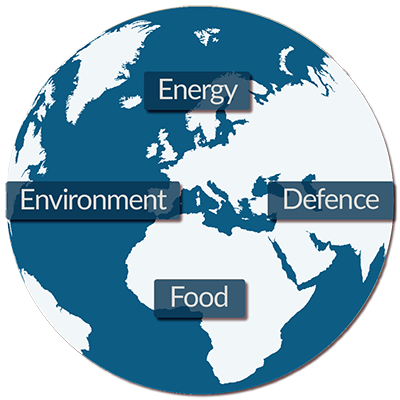 She specialises in the energy, food and resource sectors. In her business career, she has founded two companies that focused on energy and the environment. 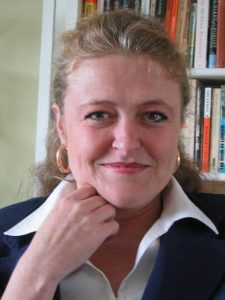 A former MP for Thanet South between 2010 and 2015, she served on the Energy and Climate Change Select Committee, and subsequently became Parliamentary Private Secretary to the Minister for Energy and Climate Change, Greg Barker. She is also Chair of the 2020 Productivity and Efficiency Commission, and a Member of Imperial College’s Centre for Carbon Capture and Storage Advisory Group, the largest research programme of its kind in the United Kingdom. Her commitment to Britain’s continued membership in the European Union has led her to become the spokesperson for a group of ‘Euro-Realist’ MPs, known as European Mainstream.